Free Museum Day on September 28, 2013: Request your Free Pass Now! 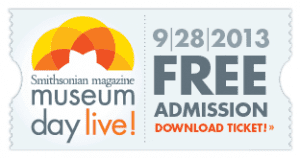 On Saturday, September 28, 2013 the Smithsonian Magazine is sponsoring Free Museum Day where you and a guest can choose from over 1,400 museums to receive free admission! You must have a free museum live pass to gain free admission, and you can fill out the form ahead of time here to receive a free pass. There is a limit to two people per household and the free admission does not include special exhibits, parking, or other fees. Note: When you fill out the form, it will ask what museum you are interested in, if you are not sure I’d recommend filling it out later since I don’t think you can change your museum later on. Isabella Stewart Gardner Museum Free Admission on 8/8/13 from 5-9pm! The Isabella Stewart Gardner Museum is free on Thursday, August 8, 2013 from 5-9pm for Neighborhood Nights! Everyone is invited, especially neighbors from Fenway, Mission Hill, Roxbury, Jamaica Plain, and Dorchester. If you can’t make it for this free admission night, check out the Boston On Budget Discount Attractions page for more discounts and deals. For more information, please visit here. Isabella Stewart Gardner Museum Free Admission on 7/25/13 from 5-9pm! The Isabella Stewart Gardner Museum has free admission on Thursday, July 25, 2013 from 5-9pm for Neighborhood Nights! Everyone is invited, especially neighbors from Fenway, Mission Hill, Roxbury, Jamaica Plain, and Dorchester. If you can’t make it, another free Neighborhood night is August 8th! For more information, please visit here. 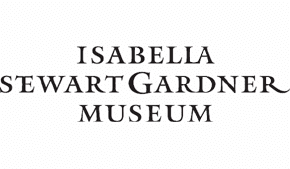 Isabella Stewart Gardner Museum Free Admission on 7/11/13 from 5-9pm! The Isabella Stewart Gardner Museum is free Thursday, July 11, 2013 from 5-9pm for Neighborhood Nights! Everyone is invited, especially neighbors from Fenway, Mission Hill, Roxbury, Jamaica Plain, and Dorchester. If you can’t make it, there will be two other free nights this summer: July 25th & August 8th! For more information, please visit here. Happy Friday and Happy Weekend! If you are lucky and have today off, check out the free Friday events you can enjoy today and tonight in and around Boston. Below are the free and budget-friendly events that are happening this weekend! 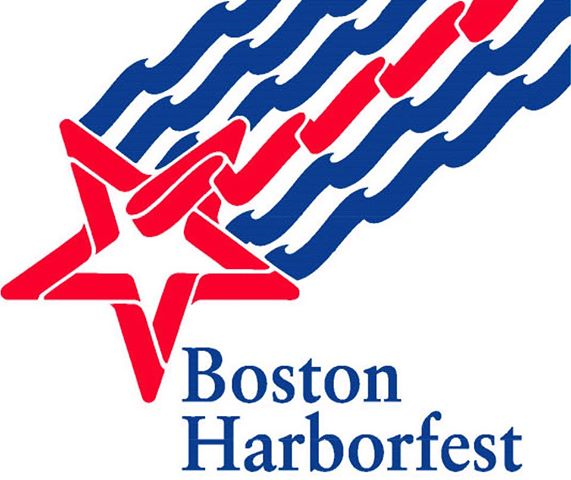 Boston Harborfest: Ending Sunday, July 7, 2013. Boston Harborfest continues and ends this weekend with many free and fun events around the city! Kid Price Saturday at Franklin Zoo: Saturday, July 6, 2013. Pay and feel like a kid the first Saturday of every month at Franklin Park Zoo between 10 a.m. & noon for just $11. Head to Stoneham, MA to the Stone Zoo between 10am-12pm and pay $10 for admission. Bank of America’s Museum on Us Weekend: Saturday, July 6, 2013 & Sunday, July 7, 2013. Bank of America & Merrill Lynch cardholders can get into select museums the first weekend of every month for free by showing their bank card (per cardholder, not family). Museum of Fine Arts, MIT Museum and other museums across the state participate. Shakespeare on the Common: Starting Saturday, July 6, 2013 at 8pm and Sunday, July 7 at 7pm (performances through July 28, 2013) at Boston Common. Enjoy a free performance of Shakespeare’s The Two Gentlemen of Verona this July on the Common, and Saturday night kicks off this annual free event! 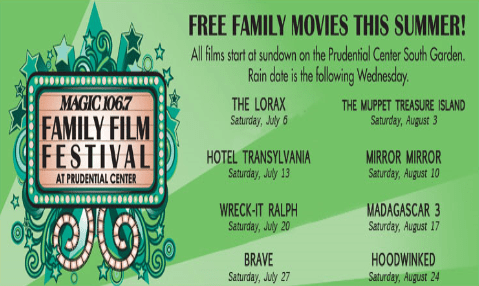 Magic 106.7 Family Film Festival: Saturday, July 6, 2013 at Prudential Center South Garden at sunset. Enjoy a free showing of the Lorax on the South Garden at the Prudential Center at sunset. Also, if you own a Hernandez Jersey, you can swap it out for any Patriots Jersey free this weekend at the Patriots Pro Shop; they will accept both #81 & #85 Jerseys. Also, the cheap fun events page on Boston On Budget has been updated. There are many discount attractions and free museum days on the list including Harvard Museum of Natural History and Peabody Museum of Archaeology, which are both free on Sunday mornings to Mass residents. If I missed any big free events happening this weekend, feel free to leave them in the comments. Thanks!